Oh, boy! This weekend I’ll have so much fun! The plan is to start Saturday afternoon with a solo jazz steps beginners workshop and then going to the Queer Burlesque Riot, at Clash, to whats The Teaserettes and Champagne Sparkles performances. To finish it in glory on Sunday I’ll be attending to the solo Charleston beginners workshop! If I survive this weekend I’m planning to have a relaxing Sunday night! I’m sure I’ll be in great need of that! I dance passionately swing. I love it. And I especially love the solo jazz dances of the Golden Era: Authentic Jazz, Solo Charleston and solo blues. They are – as opposed to swing dances such as Lindy Hop and Balboa – always solo, danced without a dance partner. However happy together as a group. I still didn’t meet her personally, but she seems a very passionate person! I’ll let you know later! 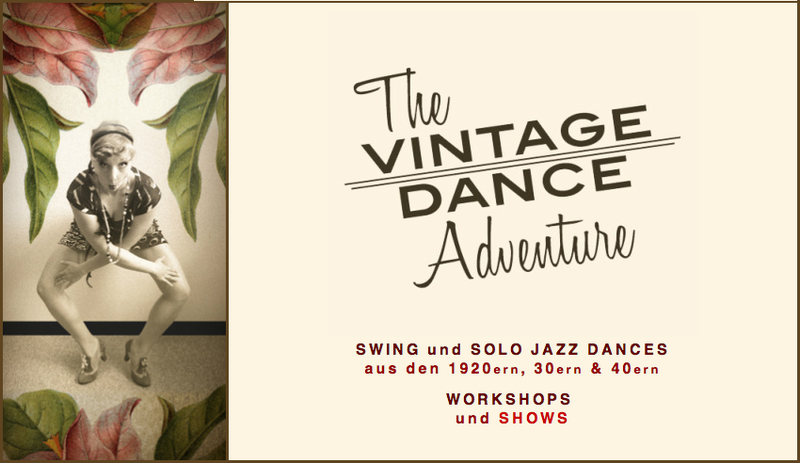 The solo jazz workshop will be on Saturday, 23rd March, and the solo Charleston will be on Sunday, 24th March. Both workshops will start at 15:00 and go until 18:00 at La Caminada Tanzstudio in Kreuzberg. You can still apply for both workshops here. And it’s tease, tease, tease! The Teaserettes are the oldest burlesque troupe from Berlin. Their style: provocative and sexually freak. Inspired by neo-burlesque style The Teaserettes organize lot’s of crazy shows like the Rock’n’Roll Burlesque Freaks or the Rock’n’Roll Burlesque Circus. But this is not it! If you want to learn how to dance Teaserettes style you can go to their Booty Camp. One of this day I’ll drop by. I’m really curious about it! Besides The Teaserettes other performers will step on Clash’s stage. For example the latest sparkling Berlin acquisition: Champagne Sparkles! She came all down from Virginia in Canada to please us with her adorable, crazy-funny, full of intelligent humor performances. But she is not only an amazing performer! She is also a great experienced producer – more then 20 years of experience organizing events! 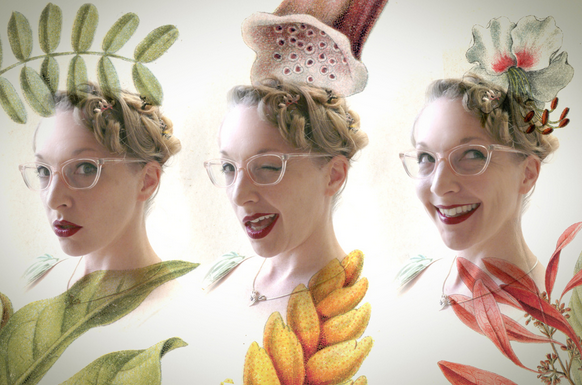 – and Co-Founder of the Cheesecake Burlesque Revue. 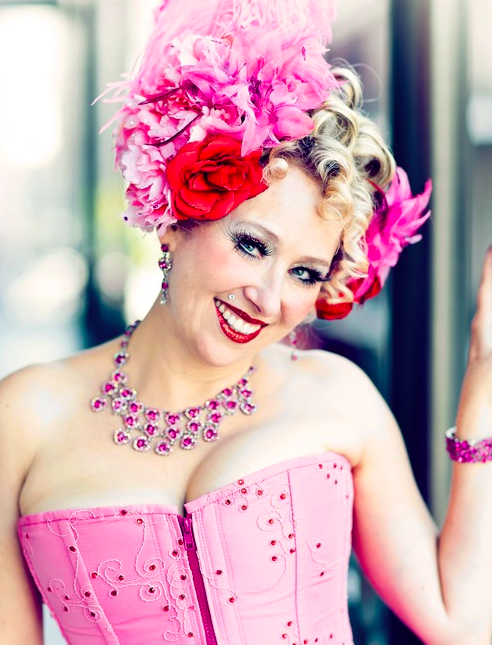 Champagne Sparkles is a founding member of Victoria’s award winning Cheesecake Burlesque Revue. She’s been shaking her tatas across the globe since 2006! Ms. Sparkles creates a unique blend of burlesque with a touch of traditional, a dash of daring contemporary, and a whole lot of glitter! Previous Post Step by step! Next Post I survived the Vintage Dance Adventure!